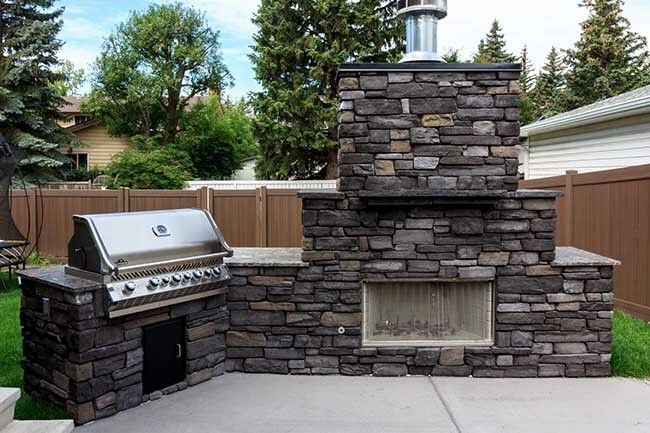 Fascinating outdoor kitchen with a large fireplace. - Curb Design Inc. Fascinating outdoor kitchen with a large fireplace and custom BBQ. Granite countertops and large rock formations.